LAHORE: Researchers from University of Crete in Greece and Australian National University collaborated to create a three-dimensional model of an interstellar cloud named Musca, shedding new light on the mystery of the universe’s formation. Detailed models of interstellar bodies are required to understand them. Three-dimensional models of the space clouds are essential to understanding the number and type of stars that they produce upon collapsing. It is a difficult task to create three-dimensional models of space clouds because of the hurdles created by projection effects. From Earth, even the most powerful telescope would produce only two-dimensional pictures of space clouds. Two get past this barrier, Dr Aris Tritsis, a researcher at Australian National University, and Dr Konstantinos Tassis of University of Crete in Greece focused their attention on a space cloud in the southern sky named Musca. Located just below the Southern Cross, Musca is hundreds of light years away from Earth and is mainly composed of hydrogen and space dust. It stretches 27 light years across the plain sky with a depth of 20 light years and a width of a fraction of a light year. The researchers found that Musca was constantly vibrating, causing the trapped waves of gas and dust to produce hair-like striations. 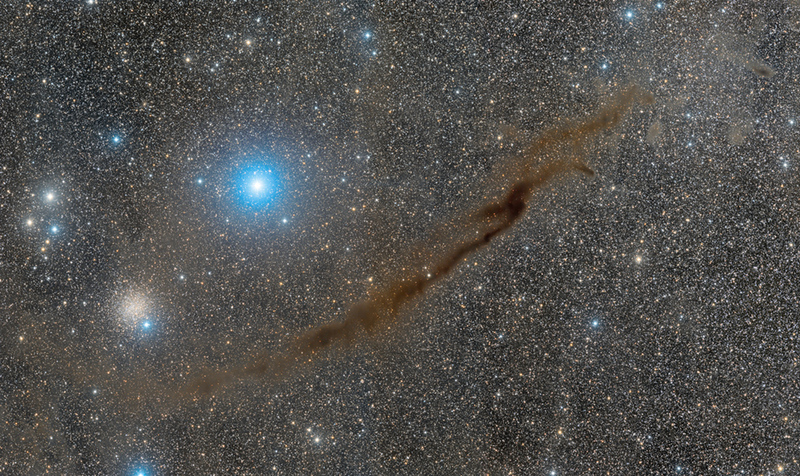 The trapped waves of a space cloud are instrumental in revealing the details of its boundaries. 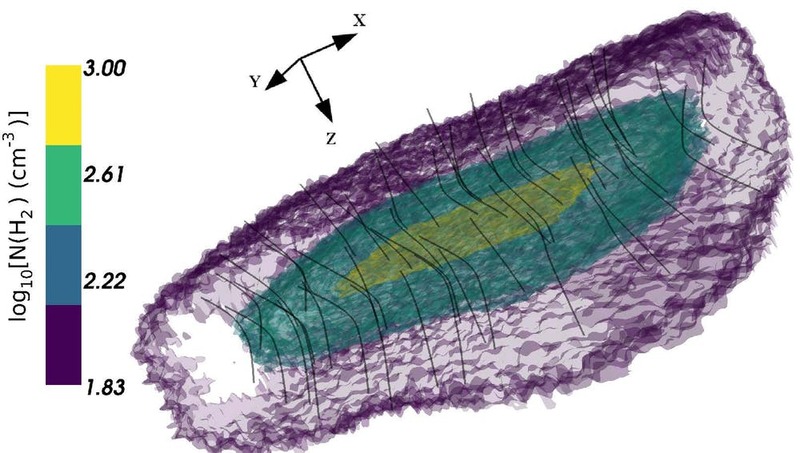 Musca’s shape was determined through these vibrations. “We see, for the first time, that this cloud is not a thin, static streak of gas in space, but a vibrating, complex structure. Despite its needle-like appearance, Musca actually resembles a sheet viewed edge-on,” Dr Tritsis added. The spatial frequencies of the vibrations were then converted into frequencies audible to the human ear and a song was created. “This is a cloud in space that is singing to us and all we had to do was listen. It is actually quite awesome,” Dr Tritsis said. Dr Tritsis said that the model could help scientists understand how stars and planets are formed. “With its three-dimensional shape now determined, Musca can be used as a laboratory for testing star formation, astrochemical and dust-formation theories,” Dr Tritsis said. Co-researcher Dr Tassis said that Musca was the largest structure in the Milky Way galaxy which was found to be vibrating as a whole. “There’s a whole range of new things we can learn from this model,” Dr Tassis said.